The user interface is an environment where a user deploys his executions through provided features. It makes the people able to get their desired specifications and do the right into the boundaries of an environment. Today, the providers of all kinds of services are taking this temperament more seriously for the purpose to get the positive notifications and they do more easy and friendly as they could be. We know about the internet and websites that are the most attractive and engaging source of this age, it’s all about the behavior that they get from their desired platforms. We know a word of Template that relates with different scenarios regarding Internet junctions and websites, this code of conduct makes a web portal to do specific scenarios like we Sign in or to Sign up in different websites to get our desired stuff. As we belong to Graphics that is the most desired and demanded field of this age and this platform has millions of concepts that can fulfill the desires of related professionals. As we discussed ui designs and template above that do the comprehensive stuff for internet platforms and these should be manifest with adorability as their job roles make the stunning executions. We have seen various websites that have maintained their user interfaces with easier to understand features and this is the key of their high morale in this world. 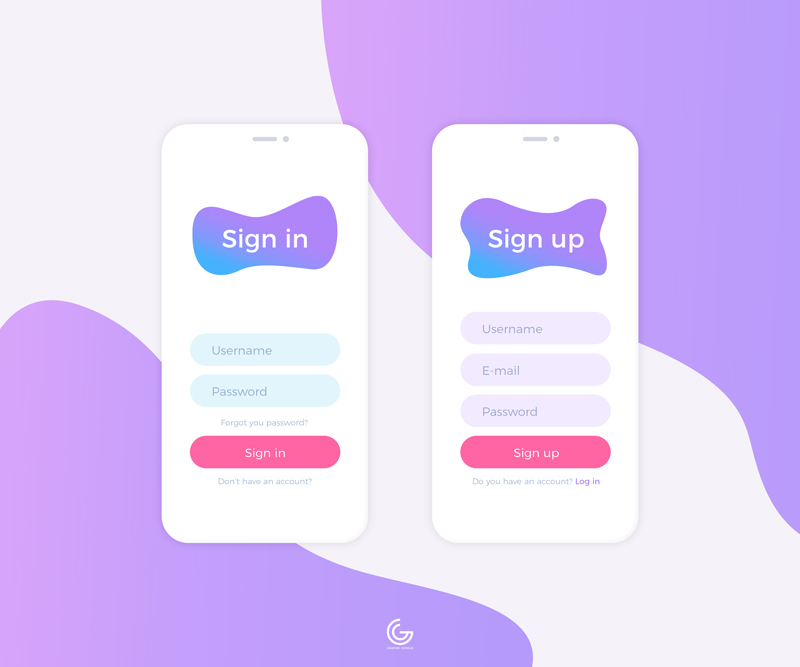 Now we are providing you with a stunning graphical attribute of Free Clean Login Mobile UI Design Concept Template that we have prepared with the high approaches and the aspirations of the desired public. This resource is made for the Mobile usability regarding the engagements of the public to make them feel leisure through luxurious implementations. We have made it ready to deploy in your respected treatments and you will love it when you utilize it. So, keep utilizing our resources and stay in touch with us for more awesome graphics.